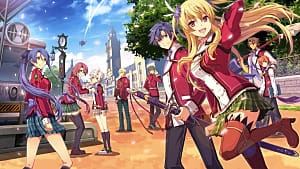 Legend of Heroes: Trails of Cold Steel is the first game in the Cold Steel trilogy. 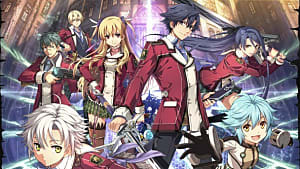 Originally released on the PS3 and Vita in Japan during late 2013, it wasn't until 2015 that it would be imported to the US for those same consoles. Only now, in 2017, is it being released worldwide on PC. 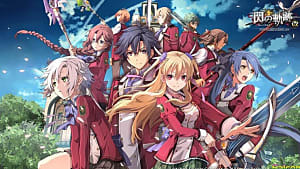 In this traditional turn based JRPG, you play as Rean Schwarzer, a new enrollee at the Thors military academy. 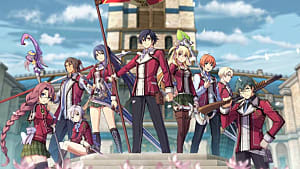 At Thors, Rean is placed in Class VII, a new class that breaks tradition by placing nobles and commoners who scored high on the ARCUS aptitude portion of the entry exams together. This aptitude is used to test out a new technology called Combat Links, which is said to allow people to act in unison with one another (more on this later). Over the course of the anime-influenced game, you play through a set routine about 6 or 7 times. You start at school. Here, there's class time, bonding events with classmates, and mandatory fetch quests for the locals. Then, you explore the mysterious, ever expanding old school house. Finally, you have your practical exam; after which you get split into groups for your field studies. During field studies, you go to various locales to help out their inhabitants and see their unique ways of life. After a few days of various fetch quests, a couple dungeons, and some large event that caps off your trip, you return to school, rinse and repeat. During field studies, you go to various locales to help out their inhabitants and see their unique ways of life. After a few days of various fetch quests, a couple dungeons, and a large event that caps off your trip, you return to school, rinse and repeat. I wouldn't call it a hobby so much as a chore, but I am glad my work is noticed. The biggest problem with this structure is that so much of it is boring or superfluous. I never felt engaged by being a student. Moreover, the extremely slow plot wasn’t assisted by the fact that nearly half of your time-- the time spent at the academy-- didn’t serve to move the plot forward at all. The academy could've served as a nice breather between the more stressful field studies, but since it's so drawn out it felt like a slice of life in the worst way possible. At this point, I feel it’s necessary to stop and mention that this game suffers from severe technical limitations; this is a B budget game through and through. This is not to say it’s glitchy; rather, the graphics, animations, and game feel are off. 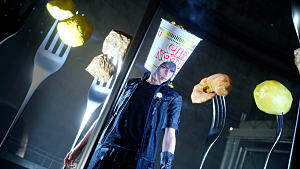 Its graphics are nowhere near on par with titles from the time or even Final Fantasy 13, which is almost 4 years older; and that is after the title received graphical upgrades for PC. In fact, ToCS looks more like something that could have been a late PS2 title than anything from the last couple generations. All of the cut corners are clearly visible. There aren’t really any cutscenes, and the game doesn’t have full voice acting -- which is a damned shame considering the amount of dialogue. This is made even worse by the fact that the voice acting is prone to starting halfway through conversations and isn't present in some pivotal scenes. 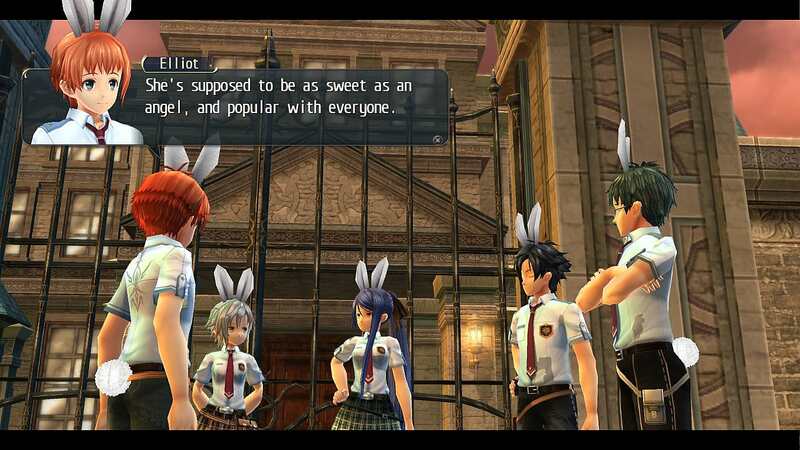 The game has a nice anime intro, as well as character portraits for the pause menu, but the low-poly models are used in the dialogue bubbles instead. Most of the game world also lacks adequate objects to make it feel lived in. In short, it feels like the game did not evolve to actually compensate for its technical or budgetary deficiencies. My largest problem with the game, however, is the lack of a good editor. There was a propensity to over explain things that didn’t matter. For instance, during a scene where I’m entering a sewer, they go out of their way to discuss the floor being wet, which was obvious. It wasn't important mechanically and wasn’t used as foreshadowing, so why mention it all when I could clearly see it myself? The game also repeats things excessively. For example, one time they open the day talking about an upcoming trade conference. Then, they end the day giving you an expositional newspaper talking about the trade conference. No sooner than I got finished reading the mandatory newspaper I was hit in the face with an unskippable cutscene where Rean listened to a radio show that continued to talk about the trade conference. Going into the coming days, the trade conference was mentioned probably another half dozen times. None of these instances explained any new facts; they merely continued to bring it up for no reason. 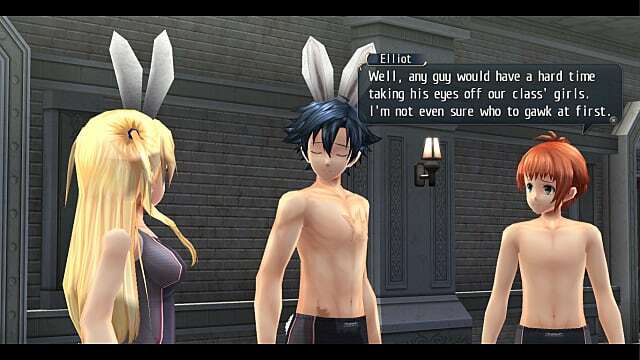 Elliot, the wise, addressing the struggles of choosing a waifu from Class VII. There were myriad other problems with the writing too. Everything is always extremely accommodating and laced with positivity to the point that it drained believability from situations. There were ridiculous things that broke the tension of the story. They never use their ARCUS to call one another despite that being one of its main functionalities. The other team of students almost never seem to have meaningful things happen to them on their adventures. In short, the writing style was closer to a Pokemon game than Full Metal Alchemist. All of this was extremely pervasive, and that's sad because the writing wasn’t mediocre across the board. In fact, these issues ruined a lot of the better character building moments in the game and clouded some tensions that could have been amazing. Many of the initially cliched characters developed over time, especially Rean. 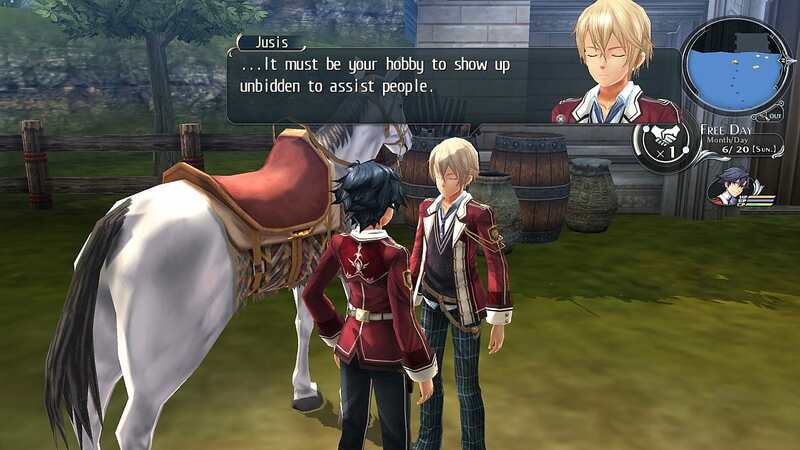 In most media, protagonists are leaders merely because it is convenient for the plot to revolve around them, but Rean actually shows leadership traits by stepping in and helping his peers solve their problems when others were too self-absorbed or scared to do so. He was also a relatable character thanks to the fact that he doubted his abilities and didn’t know what the hell he was doing with his life. As a young 20 something, I can relate to that. 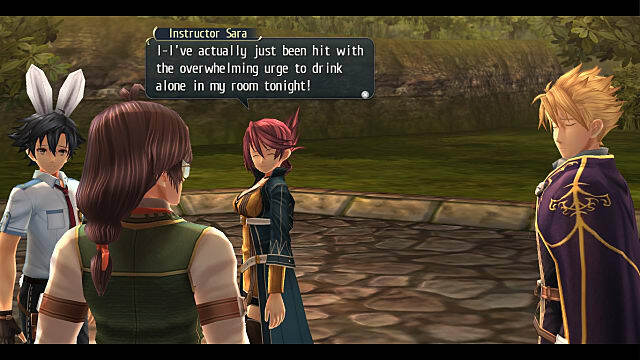 I freaking love Instructor Sara. She deserved to be present more often. The gameplay also fails at backing up one of the game’s largest themes: that your work is supposed to challenge you to empathize with the people you are helping because they are what being a soldier is all about. 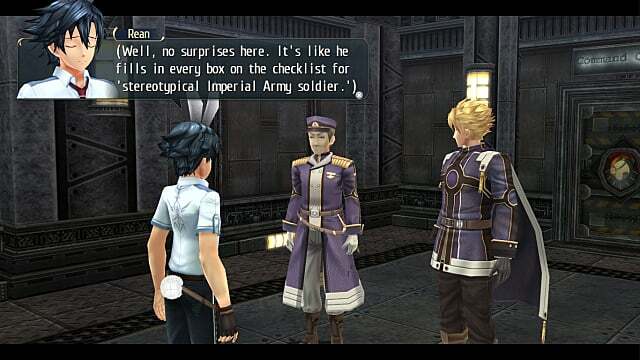 I love this theme because it fits the idea of being a military academy student well while also fostering a great, logical reason to partake in the average man’s many burdens -- unlike many RPGs where it doesn’t make sense. However, the tedious quest design, boring NPCs, and overly verbose delivery meant that by the time I’d reached the halfway point, I knew I could start skipping through all the dialogue for the side quests. On a more positive note, I loved how easy the game was to navigate. Saving is fast and a speedy fast travel lets you zip around in a location like I’ve never seen. It also has a Turbo Mode, which speeds up the game while you are holding the designated button. Getting into, through, and out of combat is also swift since you can skip the intro, combat, and outro animations, which allows you to boil combat down to the basics when you’re in a rush. 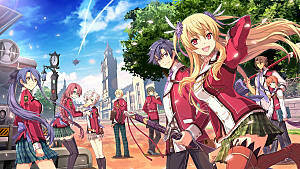 Rean would be great at reviewing this game. Last but not least, my favorite part of this game is the turn based battle system. Combat starts once you make contact with enemies on the field. Units take their actions in order based upon speed, which is shown off to the left. This all takes place in a 3D arena where you move around to attack, meaning proximity matters. If enemies or allies are too close to one another, then they can get hit by AoE’s or certain splash attacks; however, group heals and buffs are also AoE’s. This means being aware of your positioning in relation to others is vital… in boss fights. In normal encounters you just sorta blast away, which made it really disappointing that you can’t change the difficulty mid-game, a trait I thought we got rid of last gen. There is also the link system (cookie for you if you remembered it from the beginning), which allows characters to team up with one another on the battlefield. For the majority of the game, all it does is allow the teamed up ally to make a follow-up attack on the opponent you hit if you unbalanced them. Sadly the system is flawed. Unbalancing foes was hard to strategically utilize and most battles just really didn’t even need the extra manpower. Later in the game, you unlock additions to the system, Rush and Burst, the latter of these being completely overpowered since it lets all of your units attack all enemy units. In turn, this dismantled some of the battles where overwhelming enemy numbers were supposed to be a challenge. While it was one of the worst turn-based gimmicks I have seen because of how uninteresting it was mechanically, it didn’t really make the game worse. The "Rich person I thought would be mean because they are rich is actually nice?!" cliche is in full force throughout the experience. In short, the game is really held back by subpar storytelling. Removing superfluous exposition and concentrating on the interesting characters and debates surrounding mounting tensions would have made this story amazing. While the combat was fun, I’m hard pressed to say that this makes up for hours spent wading through crappy side quests and uninspired dungeons. As is, I have trouble imagining non-Japanophiles enjoying this game because of the steep curve imposed by its sloth-like progression. There's stuff to love here, but most of it is buried under tedium. Note: A review copy was provided by developer Nihon Falcon. 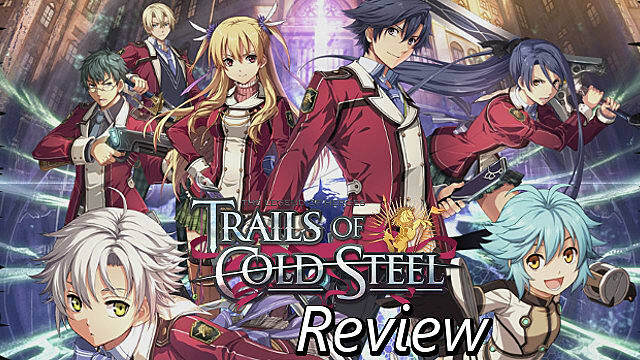 Trails of Cold Steel has been held in high regard since its original Japanese release, but does it really stand up to the hype or is it merely the best of a bad crop?